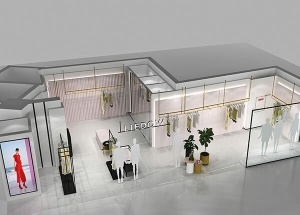 This lady clothing shop project was made at July 2018, for LIEDOW clothing store. This clothing shop decoration are using black metal and white baking finish mdf. 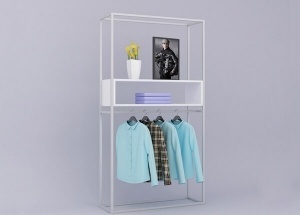 This metal display racks is used to display clothing,dress,pants for women,man,kids,baby shops,department store.It is made by stainless steel,MDF,etc. 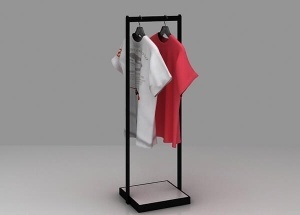 This clothes display rack is used to display clothing,dress,pants,bags,shoes for women,man,kids,baby shops,boutique stores.It is made by wooden,metal,lights and fixtures,etc. 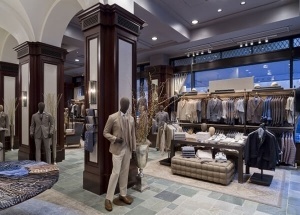 This clothing store supplies main use clothing display furniture made with black metal and wood veneer finish. 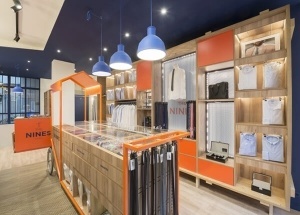 JOVA DISPLAY FURNITURE is clothing store furniture manufacturers from China, offer free clothing store interior design, and manufacture store display furniture. 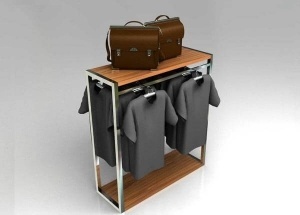 This shirt display ideas main use shirt display racks made by MDF with wood veneer finish. JOVA DISPLAY FURNITURE is clothing store furniture manufacturers from China, offer free clothing store interior design, and manufacture store display furniture. 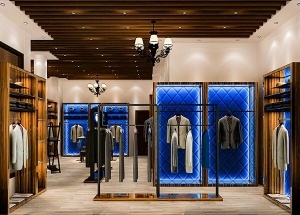 This suit shop display furniture are made by MDF with wood veneer finish. JOVA DISPLAY FURNITURE is clothing store furniture manufacturers from China, offer free suit shop design, and manufacture store display furniture. 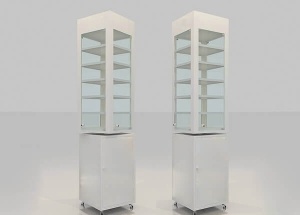 This clothing wall display: MDF with baking finished, with a cabinet. It provides a custom look with a factory price. This gondola clothing store display: veneer finished, 2 way stainless steel hanger rack, panel. It provides a custom look with a factory price.